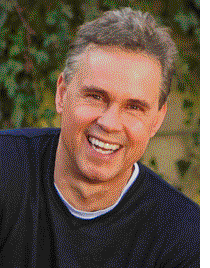 Robert Holden is the author of 10 Best Selling Books such as Happiness Now!, Be Happy, Success Intelligence and Shift Happens! to name a few. 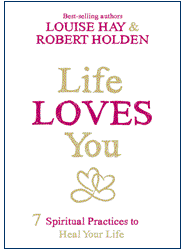 Robert Holden is a British psychologist, author, speaker and broadcaster, who specializes in the field of positive psychology and well-being, and is considered "Britain's foremost expert on the Art of Happiness." An accomplished Hay House author he is the founder of the "Happiness Project", which runs an eight-week course annually, called "Happiness Now!" Holden is a personal professional coach, and the Director of The Happiness Project and Success Intelligence, through which he gives public lectures worldwide and is a featured Keynote Speaker at "I Can Do It" Hay House Conferences . BBC TV produced two features based on The Happiness Project and Robert hosts a weekly show for Hay House Radio called Shift Happens! Robert has appeared on the Oprah Winfrey Show and is an official contributor to Oprah.com. In addition, he is the creator of Success Intelligence — a consultancy project that designs and delivers leadership programs to head of companies on a global scale. His PBS lecture, "Shift Happens" was broadcasted in North America nationwide. Robert has presented over 100 Shift Happens! 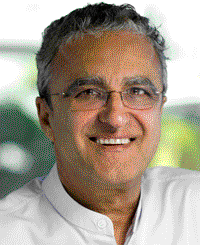 keynotes and master-classes at conferences on innovation and change. His message of love, happiness and acceptance is one of hope and resilience. Robert knew and had a great respect for the teachings of Dr. Wayne Dyer. 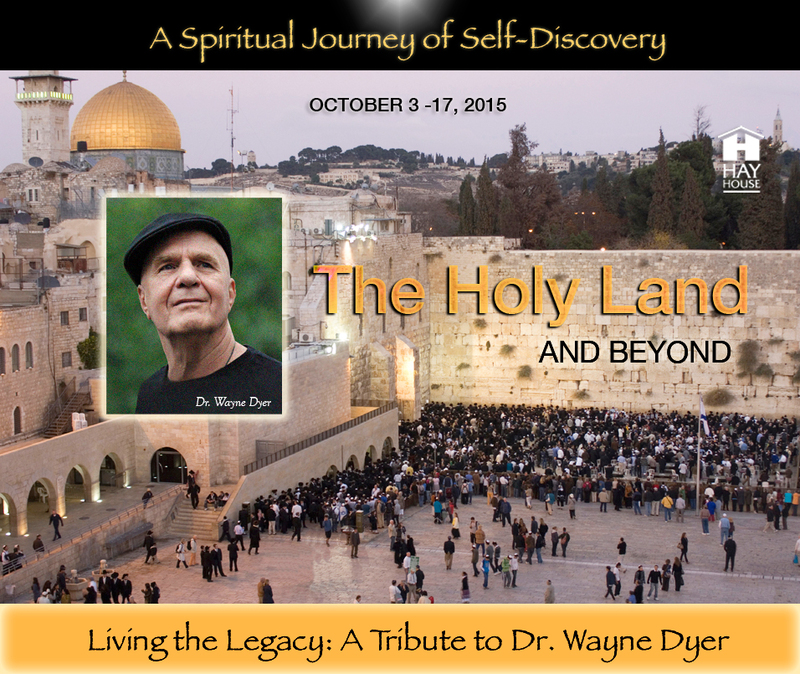 He has spoken at many Hay House conferences worldwide of which Wayne was a part of, and we are excited to have him with us! 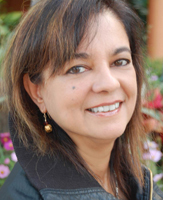 Anita Moorjani was born in Singapore of Indian parents, moved to Hong Kong at the age of two, where she has lived most of her life. With her background and British education, she grew up speaking English, Cantonese, and an Indian dialect simultaneously; she later learned French at school. Anita had been working in the corporate world for many years before being diagnosed with cancer in April 2002. Her fascinating and moving near-death experience in early 2006 tremendously changed her perspective on life, and her work is now ingrained with the depths and insights she gained while in the other realm. She is the embodiment of the truth that we all have the inner power and wisdom to overcome even life’s most adverse situations, as she’s the living proof of this possibility. In Dying to Be Me, Anita freely shares all she has learned about illness, healing, fear, "being love" and the magnificence of each day! 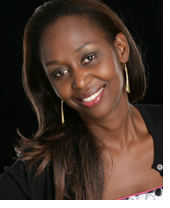 Immaculée Ilibagiza was born in Rwanda and studied electronic and mechanical engineering at the National University. She lost most of her family during the 1994 genocide. Four years later, she emigrated to the United States and began working at the United Nations in New York City. She is now a full-time public speaker and writer. In 2007 she established the Left to Tell Charitable Fund, which helps support Rwandan orphans. Immaculée holds honorary doctoral degrees from The University of Notre Dame and Saint John’s University, and was awarded The Mahatma Gandhi International Award for Reconciliation and Peace 2007. She is the author, with Steve Erwin, of LEFT TO TELL: Discovering God Amidst the Rwandan Holocaust. The triumphant story of this remarkable young woman's journey through the darkness of genocide will inspire anyone whose life has been touched by fear, suffering, and loss. and the author of nine books including A Stream of Dreams which has been translated into six languages. 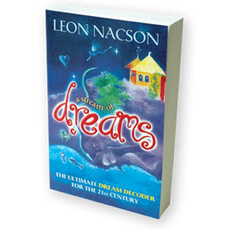 Leon presents workshops around the world on publishing and dream decoding. He is regarded as one of the pioneers in the self-help movement in Australia. As Rome’s seaport, Civitavecchia is the gateway for excursions to the “Eternal City”. Here the ancient capital of the western world and the center of Christianity for nearly 2,000 years spreads out before you in all its glory. Visit the Coliseum and Roman Forum, the Vatican and St. Peter’s Basilica, or the fashionable boutiques around the Spanish Steps. The entire city is a living museum. This day you will discover some of the most famous churches, monuments and fountains in the entire world. Splendid scenery graces the surrounding areas of Naples. Take a journey back into time by a visit to the ruins of Pompeii, which offered the world its first glimpse into ancient Roman life. The eruption of Mount Vesuvius in 79 A.D. left us with some of the best preserved ruins in the world. Magnificent beauty awaits you on the magical island of Capri or the legendary drive along the Amalfi Coast with quaint picturesque villages. Jerusalem is the capital of Israel and one of the most fascinating and beautiful cities in the world. It is surely the holiest city of all. Jerusalem can be divided into three parts: the walled Old City, East Jerusalem, and the New City. The Old City is the main attraction for most everyone. Within its walls you will find the holiest Jewish site, the Western Wall; the third holiest Muslim site – the al-Haram ash-Sharif/Temple Mount, from where Muhammad rose to heaven; and the holy Christian sites of the trial, crucifixion, burial and resurrection of Jesus. The Old City has fascinating Arab markets, and in East Jerusalem you could be in any modern-day Arab town. The New City is modern and less exotic with some of Israel’s leading museums, the Knesset building and most of the city’s Jewish restaurants, cafés and nightlife. Haifa is the third largest city in Israel, and is our entry port to discover the beauty, history, and inspiration of the northern part of this country. Explore the city of Nazareth, which is the cradle of Christianity, and is where, according to tradition, the angel Gabriel told Mary that she would conceive by the power of the Holy Spirit, and the place where Jesus spent his childhood and youth. Visit the Church of the Annunciation at the traditional site of Joseph and Mary’s home. Many more churches have been built throughout the city, and were destroyed and rebuilt with the changes in Muslim and Christian rule over the centuries. Venture on to the historical sites around the Sea of Galilee, including the Mount of Beatitudes where Christ delivered his sermon on the Mount. Experience the spirituality and serenity of the waters of the Jordan River, where Jesus was baptized by John the Baptist. Kusadasi is your gateway to Ephesus, a city created by the Ionians in the 11th century B.C. and later expanded by the Romans. Now considered one of the grandest reconstructed sites in the ancient world, and some of the best preserved ruins, the region also hosted the likes of Cleopatra, Mark Antony, the Virgin Mary and John the Apostle. Travel through the Magnesia Gate, the main entrance to the ancient city, and continue along marble streets grooved by chariot wheels. Gaze upon beautiful temples, porticoes, fountains and frescoes. Discover the three-story Library of Celsus, the Temple of Hadrian, the Odeion, the Fountain of Trajan and the Great Theater. This port too offers great opportunities for unique shopping. Piraeus is the main port of Athens, the biggest in Greece, and one of the most important in the Mediterranean Sea. No visit to Athens would be complete without a visit to the Acropolis. There you'll find the Parthenon, the largest building in the Acropolis and one of the world's most awe-inspiring sights. It was built as a temple to Athena and is still a remarkable structure today. Visit the Plaka, the old neighborhood of Athens and discover the narrow streets and alleys, single-story houses, neoclassical villas, taverns and many tourist shops or explore the National Archaeological Museum, home to a formidable collection of the world's antiquities. Founded in 1565 by the Order of St. John as a refuge for soldiers returning from the Crusades, Valletta is now the capital of Malta and a piece of living history. With an unsurpassed collection of original Baroque architecture, fortified city walls overlooking the Mediterranean Sea, and the spectacular Co-Cathedral of St. John, which features intricately carved stone vaults and a famed painting by Caravaggio, it is no wonder that this smallest of European capital cities is a world heritage site. All staterooms are equipped with flat panel TV, DVD player, mini-bar, safe, telephone, and multi-channel music. 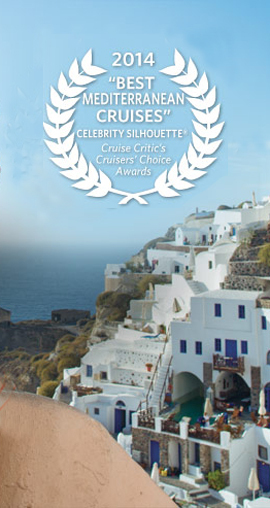 • All meals and lodging — • Onboard lectures with Robert, Immaculée and Anita — • Plus 2 full day excursions. Children attending event pay 3rd/4th passenger rates. *It is recommended that guests allow adequate time for transfer between the pier and airport, customs inspections and airport security checks.